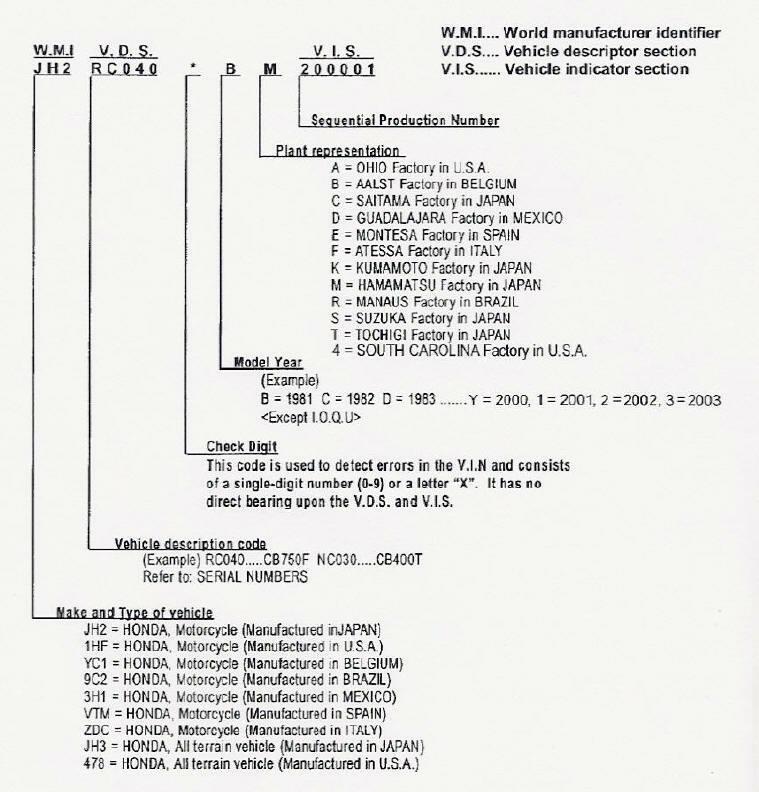 Have you ever wondered what the VIN of your Honda Motorcycle means? Find out using our Honda Rebel VIN decoder below, or view our JPEG version. This code is used to detect errors in the V.I.N. and consists of a single-digit number (0-9) or a letter “X”. It has no direct bearing upon the V.D.S. and V.I.S. Check out Dark Horse Outfitters for all your local GoldPlug/Banana Pan Needs!